Bold, contemporary style on a functional frame, this power reclining sectional offers the best of both worlds. 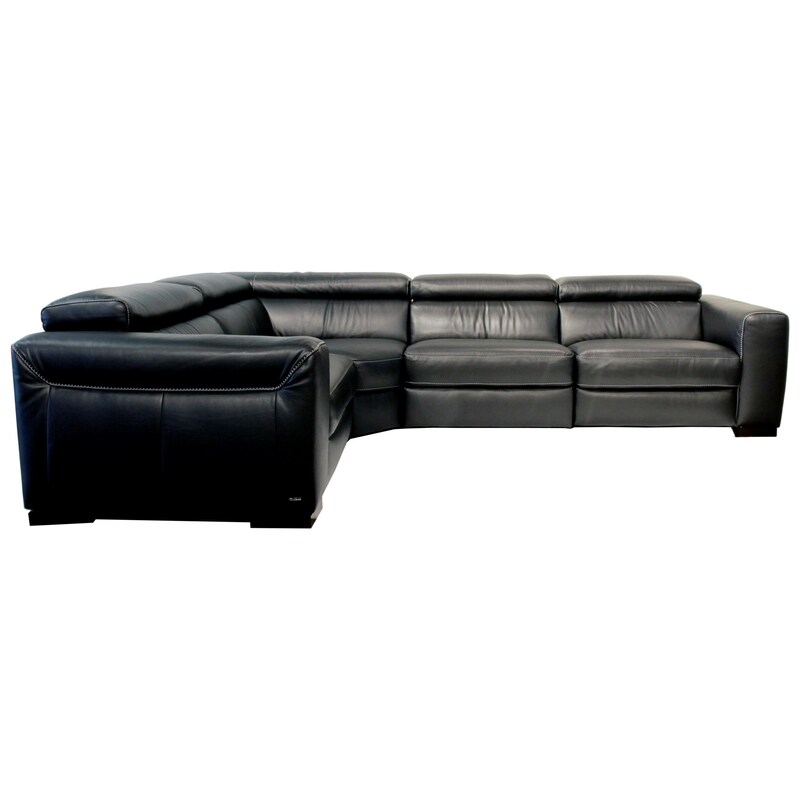 This sectional features an easy reclining mechanism with the control located discretely between the cushions to not take away from the sleek style. Showcasing a contemporary look, this sectional displays wide track arms embellished by unique contrast stitching in a moccasin pattern that will no doubt be admired by friends, family and guests. Covered in 100% leather, this piece feels as luxurious as it looks. The Forza Contemporary Power Reclining Sectional with Power Headrests by Natuzzi Editions at HomeWorld Furniture in the Hawaii, Oahu, Hilo, Kona, Maui area. Product availability may vary. Contact us for the most current availability on this product. Recliner Mechanism Motion Electric System with Soft Touch technology provides effortless reclining functions.